The Irish army should be called in to do battle with rhododendrons because the plants are "taking over" a national park, the government has been told. 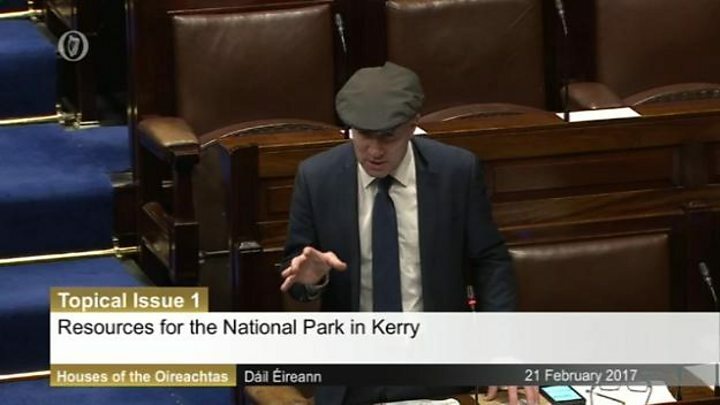 The invasion of the "aggressive" plant was raised in the Dáil (Irish parliament) by the colourful County Kerry politician, Michael Healy-Rae. He claimed "we are losing the war" against overgrown rhododendrons in Killarney National Park. He also said the park's deer population had "exploded" in recent years. The Kerryman claimed the park was being neglected by the authorities and pleaded with Regional Economic Development Minister Michael Ring to allocate more resources to its maintenance. "The rhododendron situation in Killarney National Park has become so bad that nothing short of calling in the army is going to put it right," said Mr Healy-Rae. 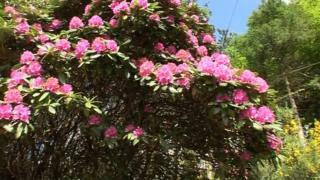 Rhododendrons are a non-native shrub that can grow taller than 25ft (8m) if they are not controlled. Mr Healy-Rae requested a Dáil debate on the issue, in which he warned the plants were "taking over completely, despite programmes of work over the years to cut them". The minister admitted that the management of the "aggressive rhododendron is a long-standing, ongoing programme in the national park". However, Mr Ring rejected the suggestion that the government had neglected the public facility or its flowery foreign foes. "My department has invested heavily in tackling this invasive species, the control of which is difficult, costly and labour-intensive," he said. Mr Ring added that more than 700,000 euros (£590,000) had been spent on rhododendron clearance in Killarney National Park over the past six years. He said this work had made "significant inroads into the problem". The minister added that his department was working on an "updated strategic rhododendron management plan" and had appointed a "specialist" to assist with the shrub situation. In respect of the exploding deer, Mr Healy-Rae referred to a 2008 study which he said was the most up to date he could find. This research, he said, showed red deer numbers had "increased by 565%" over a 30-year period while and the sika deer population had risen by 353%. Mr Ring said staff from his department are "currently undertaking a cull of deer" in the national park. The cull, which is due to end next month, followed a "comprehensive survey" on the park's deer population carried out at the end of last year. Mr Healy-Rae is not the first person to issue warnings over the Republic of Ireland's rhododendron invasion. In 2014, a couple in their 50s had to be rescued after they became trapped in a "treacherous" rhododendron forest. It took search teams five hours to reach the couple in the Knockmealdowns Mountains, on the border between County Waterford and County Tipperary.